Every species that's ever gone extinct has had an endling: a specimen that represents the last living member of its kind. While countless endlings have blinked out of existence before we got a chance to document their species, others have gained worldwide recognition. Here are some of the most famous animals that signaled the end of their eras. The extinction of the heath hen came at the end of a hard-fought preservation effort, making its story even more tragic. After their habitat was changed by colonizers, heath hens, a subspecies of the greater prairie chicken, had all but disappeared from the northeastern U.S., and by 1870, the last birds that remained lived on Martha's Vineyard in Massachusetts. But conservationists weren't about to let the species die out so easily: A preserve was created for the struggling population and by 1916 their numbers had grown from 100 to 2000. Unfortunately, all that progress was wiped out that May, when a wildfire burned through their habitat and led to the deaths of hundreds of birds. Despite efforts to rebuild the group, by 1929 only one heath hen remained: a male named Booming Ben. He was last spotted in 1932, which means that unlike other animals on this list, his death wasn't documented. Long before Martha, passenger pigeons were the most abundant birds in North America, flying in flocks of hundreds of millions and eclipsing the sun for hours at a time. But by the turn of the 20th century, their population shrunk from roughly 6 billion to just a few captive specimens. Deforestation and game hunting helped fuel their dramatic decline. Martha was born in the Cincinnati Zoo and lived there for 29 years before passing in 1914, marking the end of her kind. After she died she was immediately placed on ice and shipped to the Smithsonian museum in Washington D.C., where her stuffed body can still be viewed today. Celia's status as an endling is up for debate. Her body was found in Spain in 2000, leading biologists to declare the Pyrenean ibex extinct following years of hunting pressures and competition from domestic cattle. But that wasn't the end of her story: Using skin samples collected shortly after her death, scientists successfully cloned Celia in 2003, marking the first time a species was brought back from extinction. The cloned ibex died just minutes after it was born as a result of a lung defect, so sadly the effort to revive the Pyrenean ibex was short-lived. Toughie wasn't just the last of the Rabbs' fringe-limbed tree frogs—he was the first of its kind ever discovered. Researchers found him in Panama in 2005 during a rescue effort to save wild amphibians from a deadly skin fungus spreading through the jungle. He was given a new home in Atlanta Botanical Garden and named Toughie—a suggestion that came from the garden's amphibian conservation coordinator's 2-year-old son. More frogs like Toughie were eventually found (or heard croaking in the wild), and the newly discovered species Ecnomiohyla rabborum was officially recognized in 2008. But the frogs died out within years, both in the wild and in captivity, and when Toughie died in 2016, the species likely died with him. The main reason for the Polynesian tree snail's demise? Other snails, by way of humans. When settlers brought African giant land snails to the Pacific Islands in the early 20th century for use as lawn ornaments, the local Partula turgida population suffered. A different type of carnivorous snail was later introduced in an effort to rein in the invasive species, but the plan hit a roadblock when the snails started eating the Polynesian tree snails instead of the intended targets. Turgi, the last of his kind, died in a plastic box at the London Zoo in 1996. 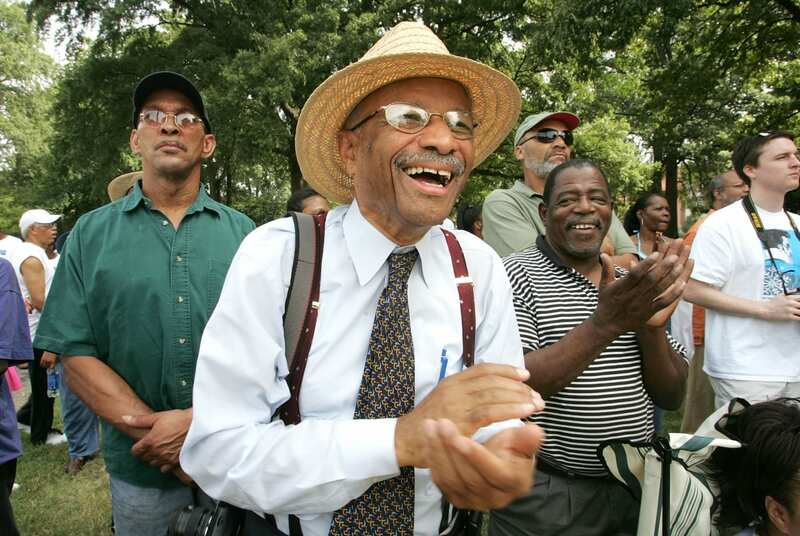 His grave marker read "1.5 million years BC to January 1996," a nod to the longevity of the species he represented. Few endlings (or at least few that we know of) held on to their status as the last of their species for as long as Lonesome George. The Pinta Island tortoise was first seen on his namesake island in the Galapagos in 1971. Initially, his discovery inspired new hope for the fate of the species: Before George, it was believed that the tortoise had been driven to extinction by hungry whalers and fur traders making stops at the island. Conservationists attempted to find a surviving female Pinta Island tortoise for George to mate with, and when that plan failed, they set him up in pens with female tortoises that were closely related to the species. 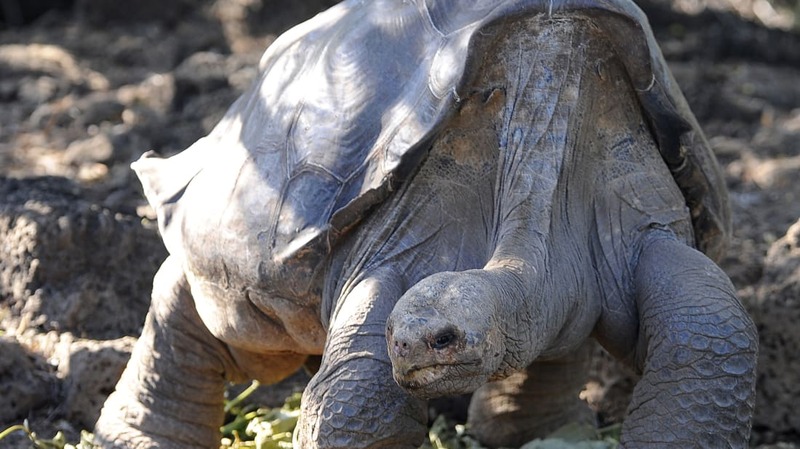 These breeding efforts were unsuccessful, and in 2012, Lonesome George passed away in captivity on California's Santa Cruz Island without having produced any offspring. It's estimated that he had been over 100 at the time of his death. Today, his preserved remains are on display at the Charles Darwin Research Station in the Galapagos. For more than two centuries, the Library of Congress (LOC) and its staff have served as invaluable resources for American legislators. But their mission isn’t limited to U.S. politics. The Library of Congress catalog includes iconic films, historical documents, and your tweets about lunch. In short, it's a cultural treasure. Here are 11 facts worth knowing about the Washington, D.C.-based establishment. 1. The Library of Congress is the nation's oldest cultural institution. 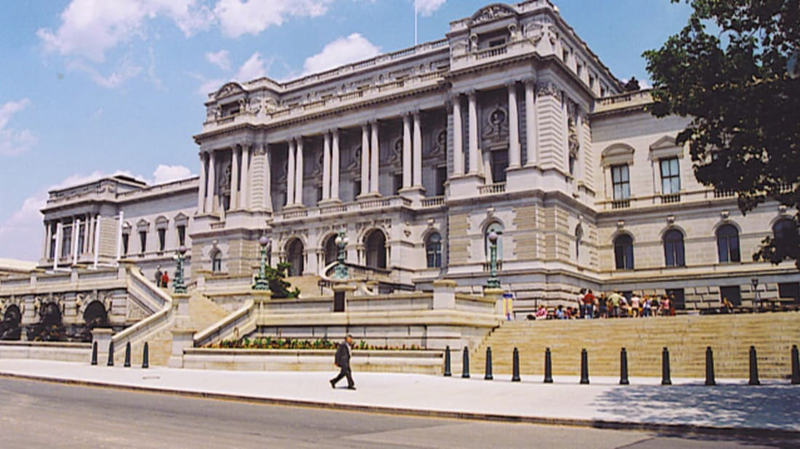 Founded in 1800, the Library of Congress is America’s oldest federal cultural institution. It was established by the same bill that officially moved the capital from Philadelphia to Washington D.C. The library was conceived of as a resource available exclusively to members of Congress, containing "such books as may be necessary for the use of Congress." That remains the case today, though citizens can read books on site or request them at their local library through an interlibrary loan. 2. Thomas Jefferson helped rebuild the Library of Congress catalog after a fire. Not long after it was established, tragedy struck the Library of Congress: Its contents were destroyed when the Capitol Building was set on fire by British troops during the War of 1812. Approximately 3000 books (mostly law-related) were lost in the blaze, but luckily a friend of Washington D.C. owned a collection that was even bigger. Thomas Jefferson’s personal library comprised well over 6000 volumes, making it the largest library in the country at the time. He agreed to sell all of his books to Congress for $23,950 in 1815. Jefferson's contributions significantly expanded the scope of the library, by including books on art, science, and philosophy. (The increased diversity of the collection was a subject of criticism at the time, to which Jefferson responded by saying "there is in fact no subject to which a member of Congress may not have occasion to refer.”) Sadly, the library met with another tragedy when a second fire tore through it on Christmas Eve 1851, burning two-thirds of Jefferson’s contribution. 3. James Madison first proposed the Library of Congress. Seventeen years prior to the LOC's official formation, James Madison proposed the idea of a special library for Congress. He planted the idea as a Continental Congress member in 1783 when he suggested compiling a list of books to which lawmakers could refer. As president, Madison approved the purchase of Jefferson’s personal library in 1814. 4. It makes Congress's job a lot easier. Members of Congress drafting legislation don’t necessarily need to do the nitty-gritty research themselves: There’s a whole team [PDF] of lawyers, librarians, economists, and scientists employed through the Library of Congress to do it for them. Established in 1914, the Congressional Research Service (CRS) is a legislative department within the LOC responsible for supporting lawmakers through every step of the lawmaking process. Based on what’s asked of them, CRS employees supply House and Senate members with reports, briefings, seminars, presentations, or consultations detailing research on the issue in question. The CRS is currently staffed with 600 analysts. In any given year, a single researcher responds to hundreds of congressional requests. 5. It's the largest library on Earth. With over 164 million items in its inventory, the LOC is the world’s largest library. In addition to the 38 million books and other printed materials on the premises, the institution contains millions of photographs, recordings, and films. It also houses some record-breaking collections: more maps, comics, newspapers, and phonebooks can each be found there than any other place on Earth. The whole thing is stored on about 838 miles of bookshelves. 6. The Library of Congress contains some surprising items. The Library of Congress is home to an eclectic collection, with books ranging in size from a tiny copy of “Ole King Cole” to a 5-foot-by-7-foot photo book filled with color images of Bhutan. Some items, like a Gutenberg Bible and a rough draft of the Declaration of Independence, feel right at home in the historic library. Others, like Rosa Parks’s peanut butter pancakes recipe, are a bit more unexpected. Additional noteworthy artifacts include Bob Hope’s joke collection, George Gershwin’s piano, and the contents of Abraham Lincoln's pockets the night he was shot. 7. 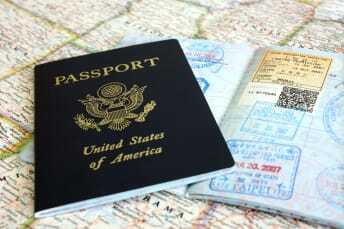 The Library of Congress owns materials from around the world. The Library of Congress isn’t solely dedicated to American documents. The institution possesses materials acquired from all around the globe, including 3 million items from Asia and 10 million items in the Iberian, Latin American, and Caribbean collections. Over half of the books in their inventory are written in a language other than English. In total, over 460 languages are represented, and their end goal is to eventually have at least one item from every nation. The LOC also maintains overseas offices in New Delhi, India; Cairo, Egypt; Islamabad, Pakistan; Jakarta, Indonesia; Nairobi, Kenya; and Rio de Janeiro, Brazil to acquire, catalog, and preserve items that might be hard to access otherwise. 8. It preserves America's most important films. Since the National Film Preservation Act was passed in 1988, 700 "culturally, historically, or aesthetically" significant films have been selected for the LOC archives. Up to 25 entries are chosen each year by a board of industry professionals, and the only rule is that submissions must be at least 10 years old. Beyond that, they can be anything from beloved comedy blockbusters like Ghostbusters (1984) to health class classics like The Story of Menstruation (1946). Pieces added to the National Film Registry are kept in a climate-controlled storage space where they can theoretically last for centuries. 9. The Library of Congress serves patrons of all abilities. In 1931 the Library of Congress launched The National Library Service for the Blind and Physically Handicapped (NLS). Today the service offers free Braille and audio books, either through digital downloads or physical deliveries, to people with visual impairments or other issues that limit their reading abilities. Offerings include a wide array of books and magazines, as well as the world’s largest collection of Braille music. NLS librarians are currently undertaking the painstaking process of scanning every sheet of Braille music onto their computer system. Once that project is complete, the National Library Service’s entire collection will be fully digitized. 10. Only three librarians of Congress have been actual librarians. When nominating someone to head the largest library in the world, presidents rarely choose actual librarians. They’re more likely to select a scholar, historian, or some other veteran of academia for the job. Of the 14 Librarians of Congress we’ve had, current title-holder Carla Hayden is one of just three to come into the role with prior librarian experience. (She is also the first woman and the first African American to hold the job.) On top of running the world’s largest library, Hayden is also responsible for managing relations with Congress, selecting the Poet Laureate, and overseeing the U.S. Copyright Office. 11. It receives every public tweet you write. The government isn’t just responsible for cataloging tweets coming out of the White House. In 2010, Twitter agreed to donate every public tweet in its archive to the Library of Congress. That amounts to several hundred million tweets a day. In addition to documenting the rise and fall of #dressgate and live tweets of The Walking Dead, the archive would also act as an invaluable data source for tracking language and societal trends. Unfortunately, that archive isn’t much closer to being completed than the day the deal was announced. The LOC has yet to develop a way to organize the information, and for the past seven years, unprocessed tweets have been have been stored out of sight on a server. There’s still no word on what the next step will be, but that might change with the newest Librarian of Congress. Unlike her predecessor, Carla Hayden is known for taking a digital-forward approach to librarianship. 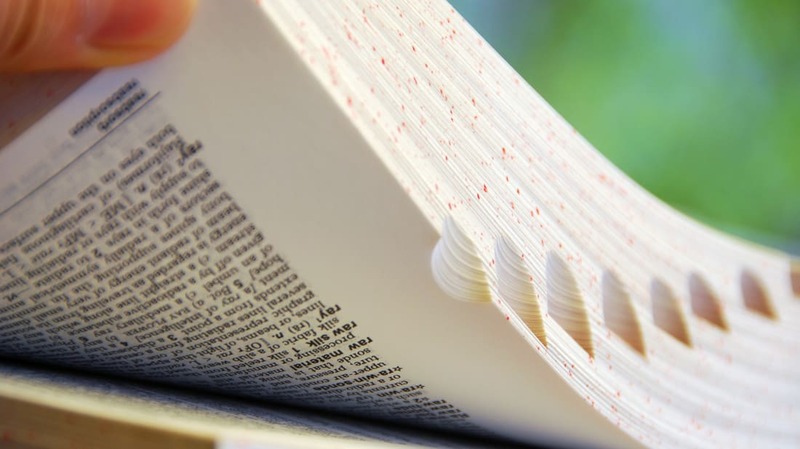 The editors of Merriam-Webster's dictionary know better than most people how quickly language evolves. 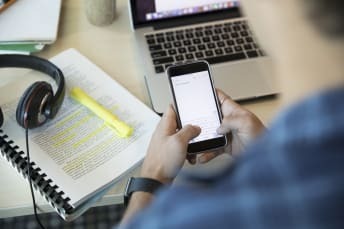 In April 2019 alone, they added more than 640 words to the dictionary, from old terms that have developed new meanings to words that are products of the digital age. Entertainment fans will recognize a few of the new words on Merriam-Webster's list: Buzzy (generating speculation or attention), bottle episode (an episode of a television series confined to one setting), and EGOT (winning an Emmy, a Grammy, an Oscar, and a Tony) have all received the dictionary's stamp of approval. Some terms reflect the rise of digital devices in our everyday lives, such as unplug and screen time. Other words have been around for centuries, but started appearing in new contexts in recent years. According to Merriam-Webster, snowflake can now mean “someone who is overly sensitive," purple can describe an area split between Democrat and Republican voters, and Goldilocks can mean “an area of planetary orbit in which temperatures are neither too hot nor too cold to support life." You can read 25 of the new words below. And for even more recent additions to the dictionary, check out Merriam-Webster's list from last September.